The YF-23 was Northrop's answer to the USAF's RFP for the Advanced Tactical Fighter to replace the F-15 Eagle. The USAF awarded contracts for the two most promising designs in 1986 and the YF-23 was delivered in 1989 with the evaluation concluding in 1991. The other contender of course was the YF-22. Both aircraft could meet the USAF's performance specs. The Northrop design was a bit faster, with longer range and was stealthier, while the Lockheed design was a bit more maneuverable. The performance margins between the two types were not dramatic. Lockheed built a more conservative airframe with very conservative materials, not far from existing technologies found in the F-15 and F-18 using a lot of aluminum and titanium alloys, while Northrop opted for 50% empty weight in composites and went for a very stealthy airframe geometry, never before used in a fighter. Also Northrop went into great deal of pain to design their stealthy exhaust ducts. 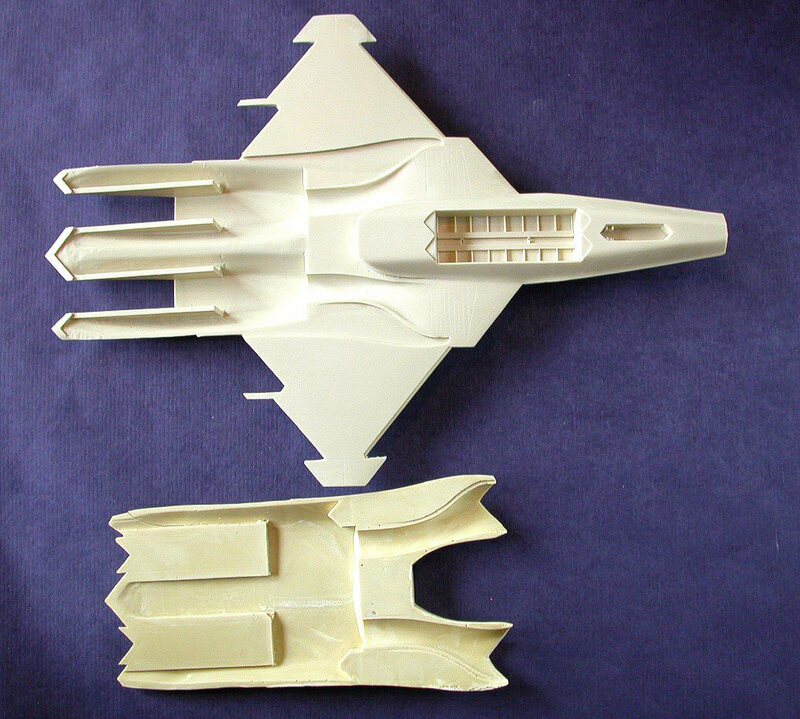 The lining of the YF-23 exhausts was a laminated alloy structure full of tiny cooling holes fed by engine bleed air. It was a rather heavy design and it is unknown if it would have required major design changes for producibility. 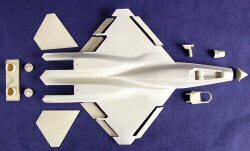 Basically, Northrop once again and true to their style went into creating a masterpiece and state of the art technological solution that was stealthier, faster and with a bigger weapons bay than its YF-22 rival. Yet the decision makers are not romantics. A revolutionary design is more risky that an evolutionary design. The revolutionary A-12 had just been canceled. Northrop already had ongoing products like the B-2 (with known cost over-run problems) while Lockheed had the P-3 and the F-16 that did not look that they would make it past the end of the century production-wise, Lockheed and Pratt & Whitney submitted lower bids. The decision was clear. In retrospect, I wonder what kind of a good deal we really did receive price wise-almost 20 years later... Maybe I am biased towards the beautiful Black Widow II. Maybe this is why I hope to see it again in one iteration or another in the Regional Bomber competition or advanced reconnaissance platform, etc. 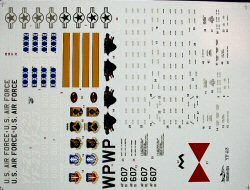 This is the one and only, so far kit of this beautiful aircraft in 1/48th scale. At this point we have had a 1/72nd scale kit. There is also a 1/32nd scale kit in the making that looks absolutely drop-dead gorgeous in its master form but it is not in production yet. The Collect-Aire kit master work started towards the end of 2000 and deliveries started in the spring of 2002. 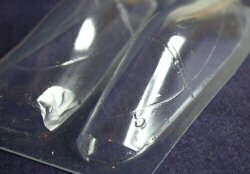 The kit resin parts are molded in Eastern Europe. Upon opening the box the modeler is greeted with some seriously big resin pieces. The top fuselage part is molded as one huge piece. The bottom fuselage part is another huge piece. The nose cone is a separate piece. The cockpit is molded integrally to the top fuselage. The canopy framing is a separate piece and it can be posed open if the modeler wishes to perform minor surgery to the vacuform canopy part. 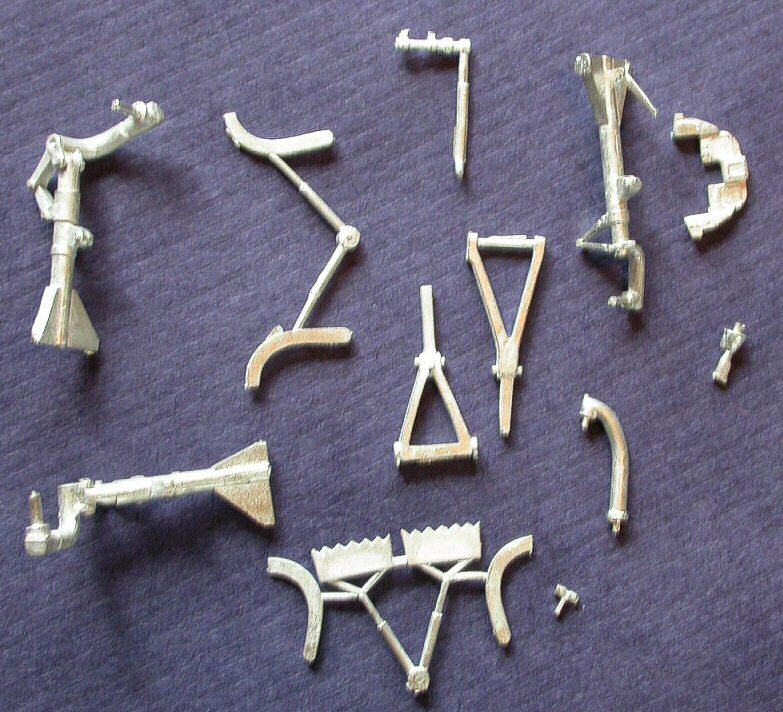 The ejection seat is very detailed and it is borrowed from and existing resin detail set. The leading and trailing edge flaps are separate and can be posed deployed after some clean up work. The wheels appear a bit small to me and I need to see if I need to replace them with F-15 wheels. The metal parts are strong and the landing gear should be strong enough to support the model's weight. An open weapons bay is provided and it could be super detailed if so desired and if the references are available. The vacuform canopies are reasonably clear but have blemishes that need to be corrected before dipping them in Future. 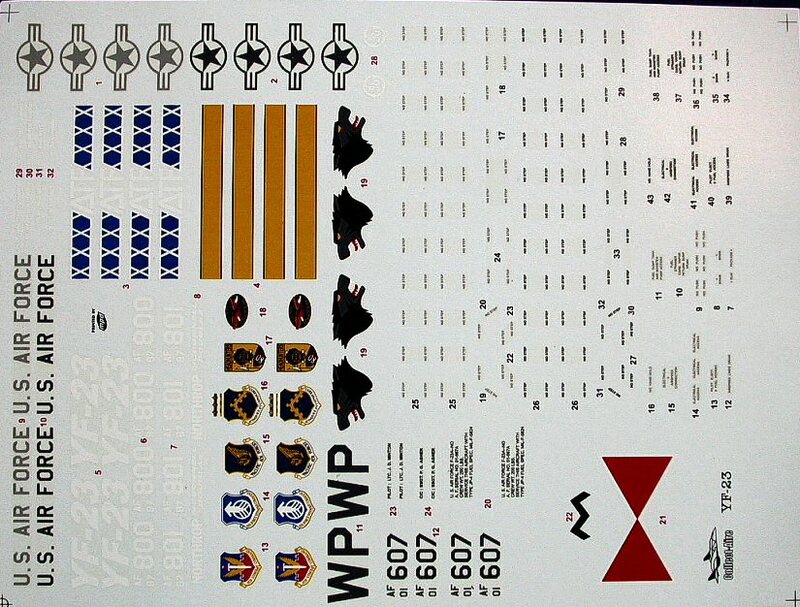 The decals are reasonably well done and they even include an "operational" squadron if this aircraft would have entered service. Nice touch. The master maker provided full intake trunking in the way he mastered the parts. So here we come to the subject that has puzzled many modelers that purchased the kit. How do you possibly mate the top and bottom fuselage parts. I have received numerous emails on this subject. It appears that the bottom part does not mate really well with the top portion of the fuselage. My first guess is that that this is the result of the curing of big resin pieces. Inevitably some shrinkage and warping occurs. I have not built the kit and I am not sure how I will solve this problem. 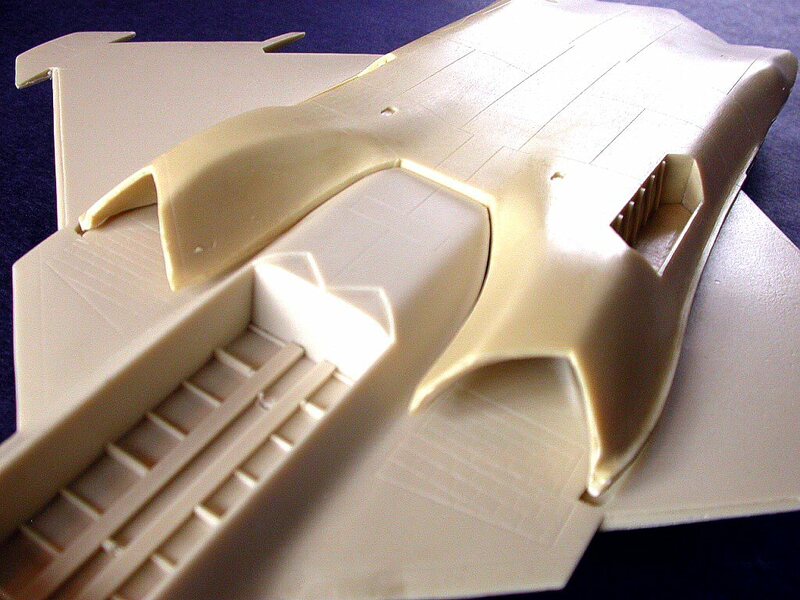 Maybe some cutting along the bottom fuselage part will be necessary. I will be posting updates as I build this magnificent fighter that never came to be. 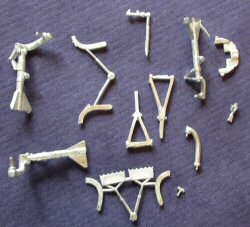 Recommended to modelers with experience in building resin kits. 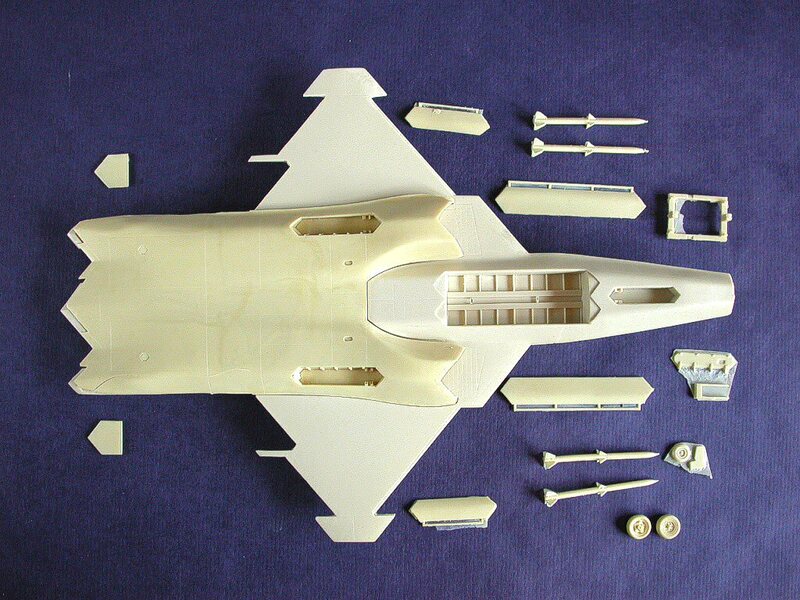 Check out the YF-23 Section also posted for your reference.